I have been a quilter for nearly twenty years. I developed my passion for appliqué ten years ago and since then I have developed a signature style very much my own. I have always loved antique textiles and it is these designs from the 18th and 19th centuries that inspire me most. This inspiration source, coupled with my self-taught appliqué methods, result in original and highly textured quilts. The appliqué, embroidery and quilting is all done by hand and each quilt will take on average between 1000 and 2000 hours to complete. In addition, I sew on hundreds of crystals, beads and seed pearls to subtly enhance the design. My method of appliqué results in flowers that appear stuffed and I heavily echo quilt the background by hand to further enhance the textural look and feel of the quilt. 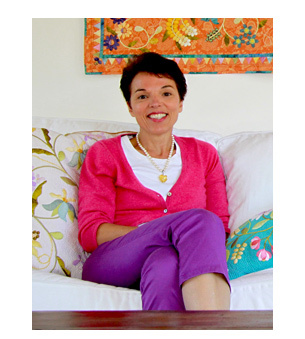 I feel very lucky to have received such an appreciative audience for my work and I have won several major Canadian, European and international awards. My work has appeared in many international quilting magazines. I was the featured quilter in American Quilter Magazine September 2009, in The Quilt Life April 2011 and in Quilters' Newsletter December 2011 and Quilter’s World 2016. Additionally my quilts were selected to be the cover page for Quilters' Newsletter magazine December 2011, American Quilter's Society Winter/Spring 2011 catalogue, C&T Publishing's Spring 2011 Catalogue, Canadian Quilter Winter 2010 Edition. My quilts were featured in the IQA 2010 Award Winning Quilts Calendar and the AQS 2012 and 2016 Wall Calendars. 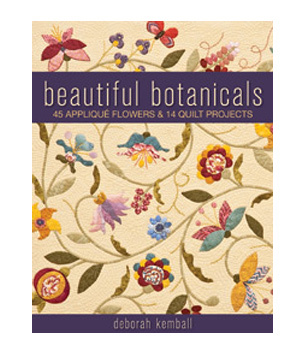 My book Beautiful Botanicals released in 2011 is a C&T best seller. and instructions for 14 projects, from pillows to wallhangings. 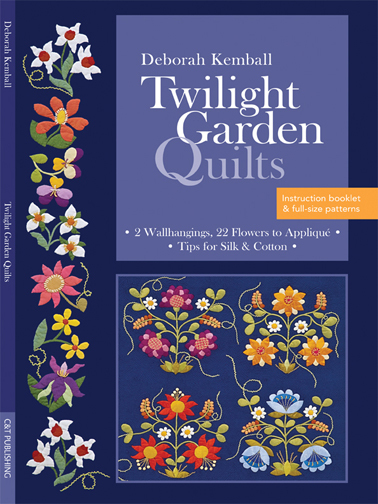 My pattern pack Twilight Garden Quilts gives full size patterns for two of my favourite small wall quilts Midnight Garden and Spring Flower Heart. 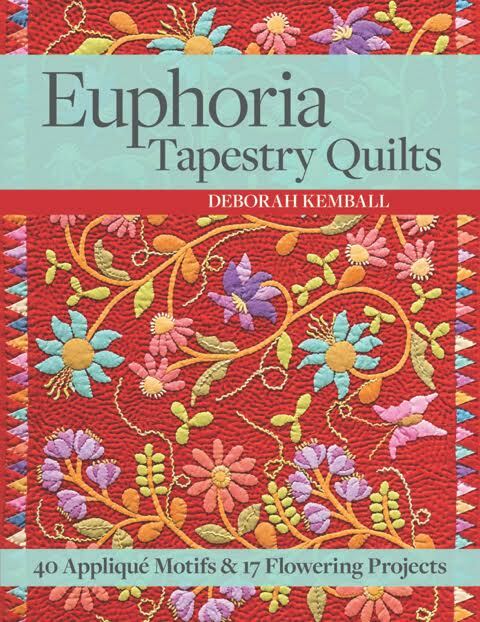 My latest book Euphoria Tapestry Quilts 2016 has 40 new appliqué motifs and seventeen projects from my multiaward winning quilt, Euphoria.